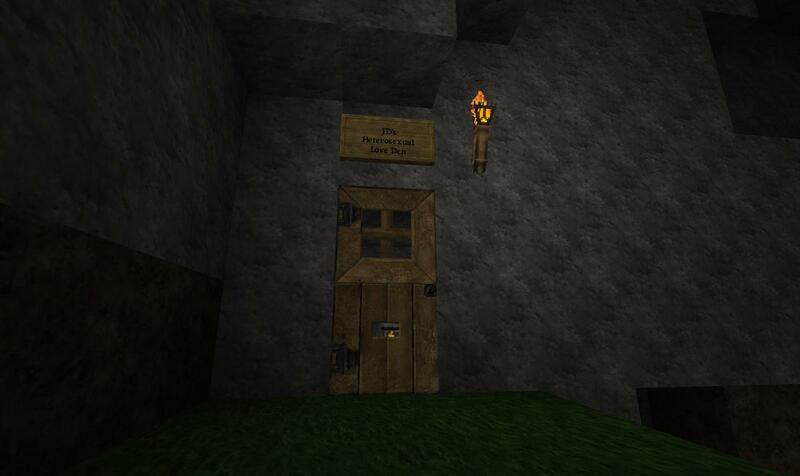 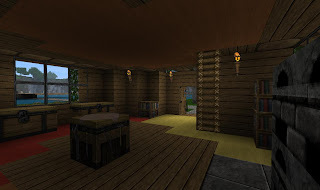 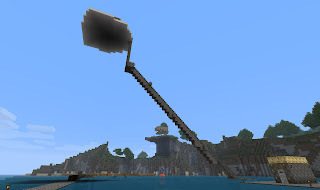 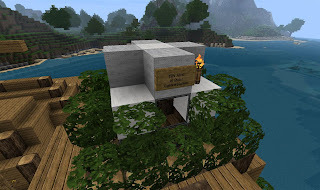 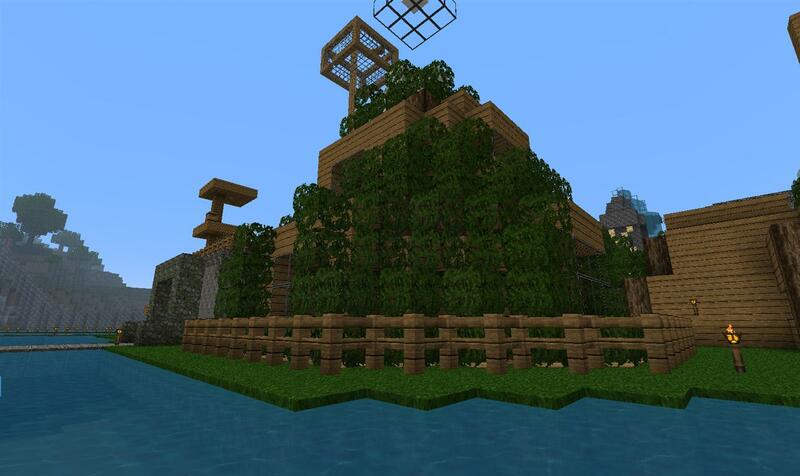 Hello fellow Minecrafters or whoever happens to be reading, today I will be detailing my meagre creations on the freshly revived Tribalfield Minecraft Server which I think I speak for all of us when I say that we are eagerly waiting the Minecraft 1.8 patch and also dreading it in some way as implementing the features of the new patch into our world would mean yet another world reset which frankly cause I havent been playing or building that much (and I make sure to screenshot everything I do, well almost everything) I'm not really that fussed and would be glad to be able to explore all the new features. 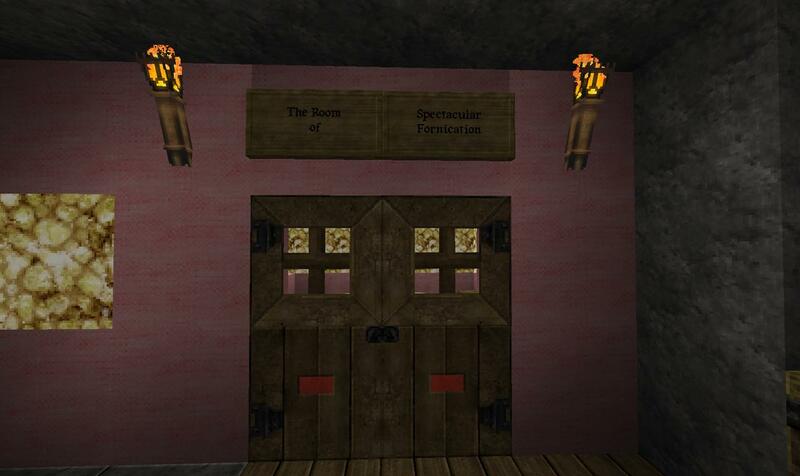 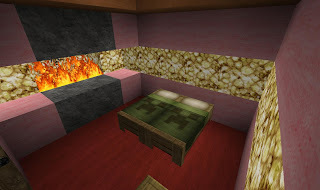 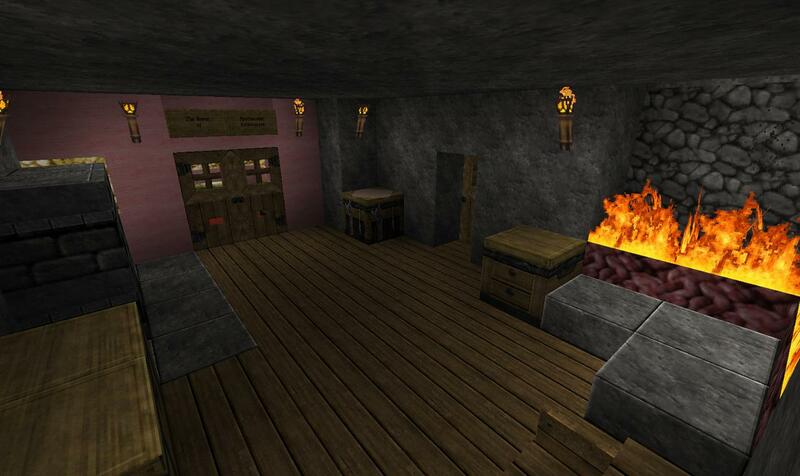 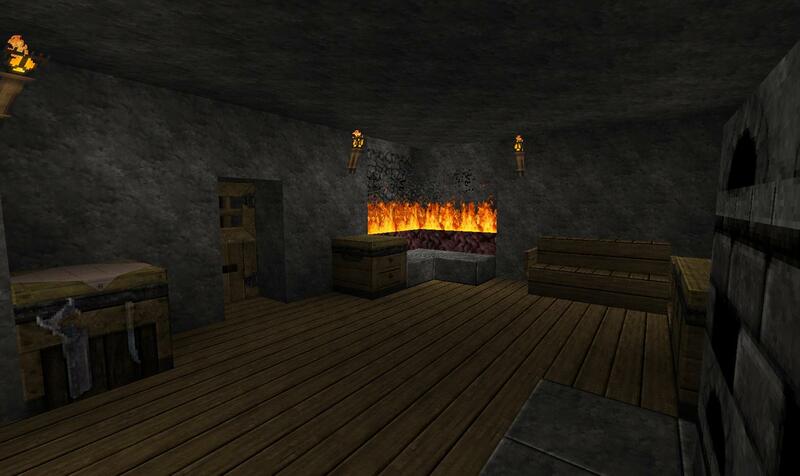 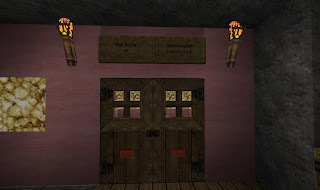 Ah yes the heterosexual "love den" after my "Hidey Hole" was consistently griefed or robbed during the building of the great tree, I decided to retreat into WarpageHD's domain where I set up a little place in a large cavern for no particular reason at all set it up as a "love den" I really don't know where I was going with this but I had a lot of fun creating it. During my time on Zocrowe Island we experienced quite a lot of player activity and also some inevitable griefing, during which I decided to make a claim for myself high in the sky overlooking Zocrowe, I named the claim JDman's Cloud of Peace and thats exactly what it was a place where I could live in peace free of others. 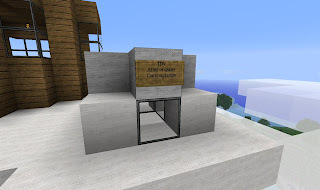 The "cloud" itself was made out of a LOT of white wool set just above the cloudline (thanks to CaptainPugwash for a large donation) I was shearin sheep like some kind of crazed farmer for the majority of time on the server. 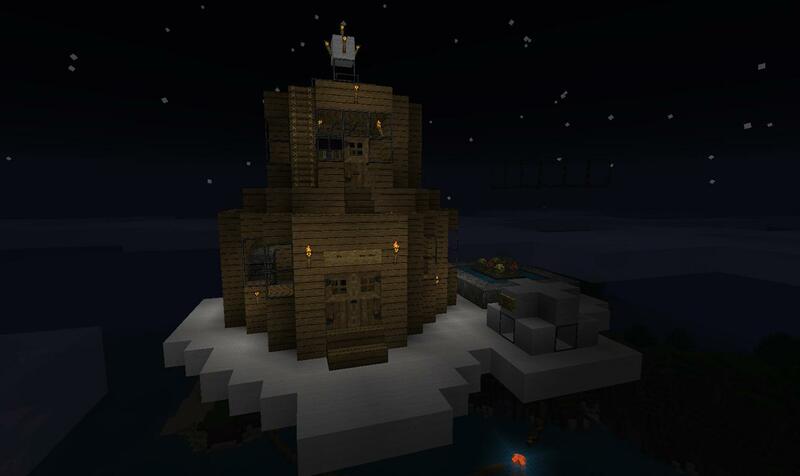 And so I built myself a nice little sanctuary up in the sky. 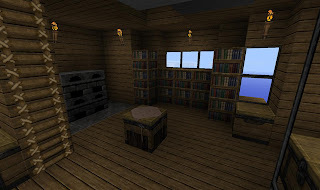 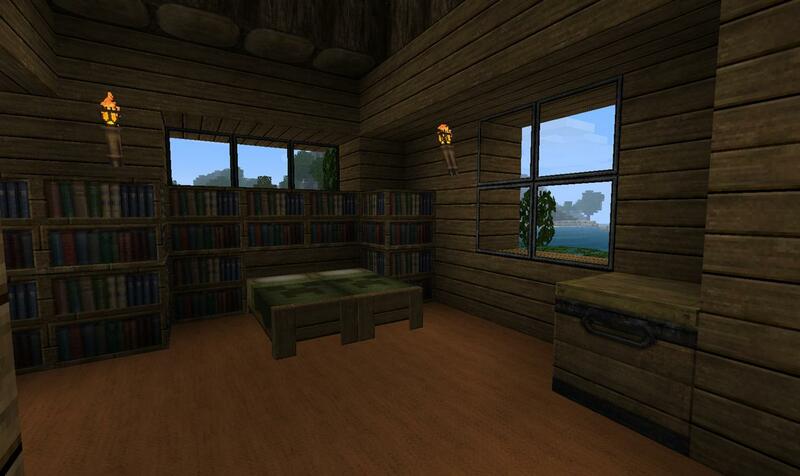 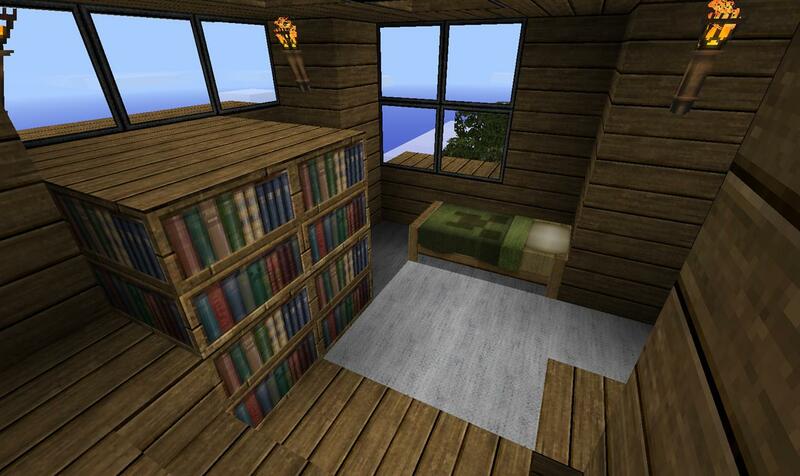 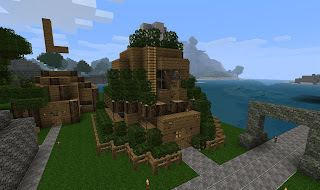 The house I named "The House of Peace" along with a little garden and my private "Altar of Quiet Contemplation" though sitting "contemplation style" hasn't quite been implemented into Minecraft yet and come to think of it either has sitting in general. Eventually I decided that because I could not be a citizen of two places at one time I would come down off my cloud and settle in with my pals on the island of Zocrowe, so I with a lot for my house I decided to dismantle and remake my old house of peace witha few changes of course namely logs and leaves for a bit more down to earth feel, excuse the pun (heh). 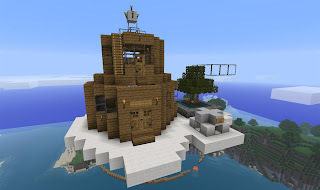 I actually kind of forgot to dismantle the cloud and It seems creeper has built a fairly ugly looking stairway and aldder up to my old claim, meh what can you do?